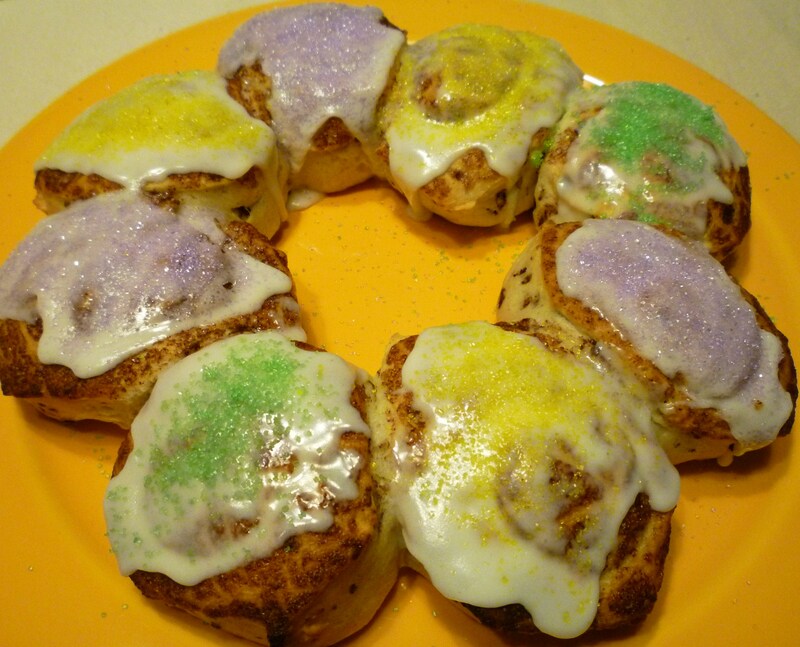 King Cake … and I am happy that I don’t own a bread machine! The real name for this creation should be My Super Simple Easy Peasy Totally Cheater Faux King Cake. Yesterday I received a text message from a friend, who’s originally from New Orleans, wishing me a Happy Mardi Gras. Later the same “friend?” let me know that they would drink a few Hurricanes in my honor. 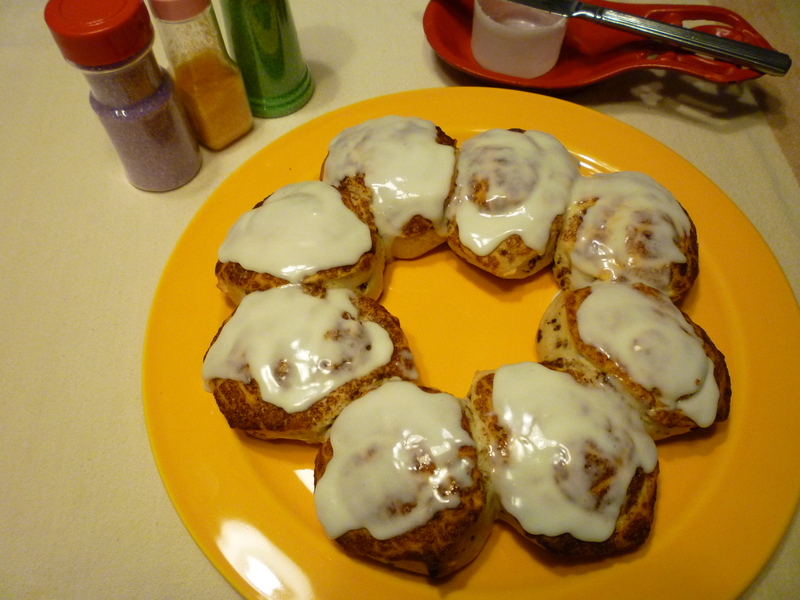 Monday, Liz from Hoosier Homemade made some beautiful cinnamon rolls (I am still drooling) using her bread machine. While reading her recipe, I started to regret getting rid of my bread machine. 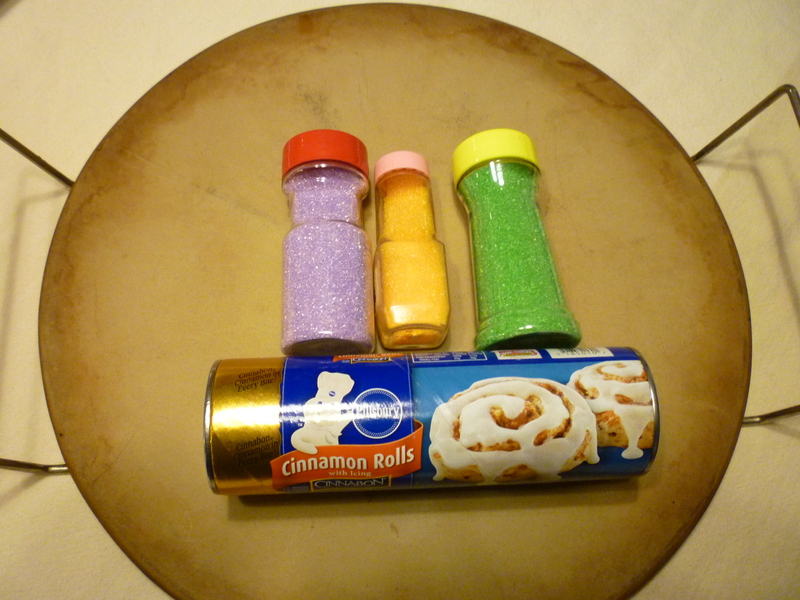 While grocery shopping yesterday, I decided to pick up a tube of refrigerated cinnamon rolls and make my Fake King Cake. Last night, I made the Fake King Cake and ate two of cinnamon rolls even though I knew they were not as good as homemade. 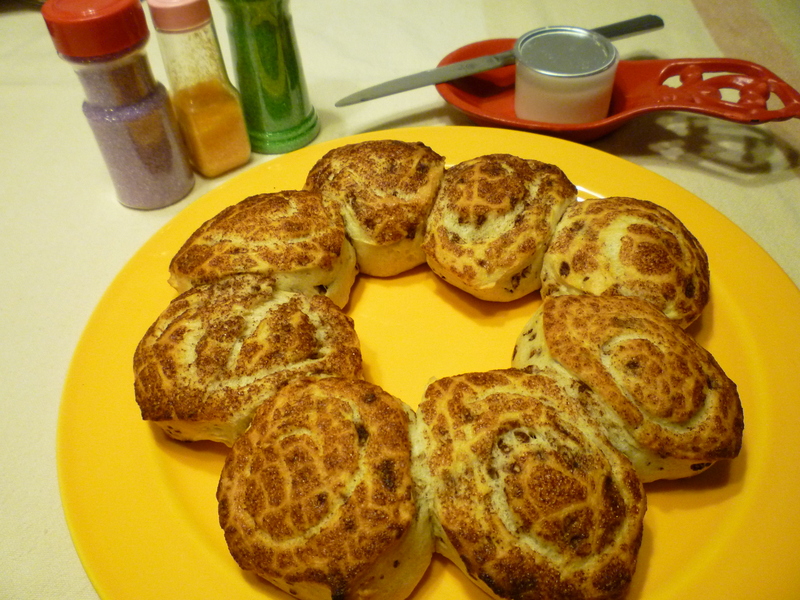 Therefore, I am very happy that I gave my bread machine to a family that could use it … and I am not making eating cinnamon rolls on a regular basis. 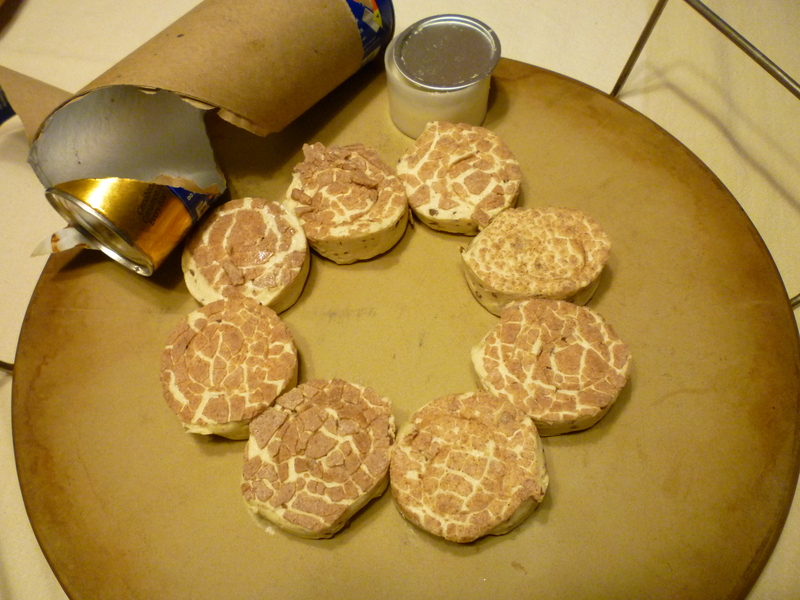 I love your “My Super Simple Easy Peasy Totally Cheater Faux King Cake” – totally cool! With you showing of the supplies, I don’t see a tiny plastic baby. You must had forgotten that a plastic baby is baked into your King Cake. hey I call this amazing idea, FAST-N-FANCY…this is MY kind of King Cake that is FOR SURE! GENIUS! My creative sister-in-law you do come up with the most festive and delicious treats. Glad you are a part of my life.